PROFLEXX products have been sold in North America for over 25 years. Globally sourced from major manufacturers in their respective fields PROFLEXX products are second to none for quality and consistency. All products are sourced from ISO registered manufacturers whom adhere to the highest quality standards set by the European Norms for Safety & Quality. 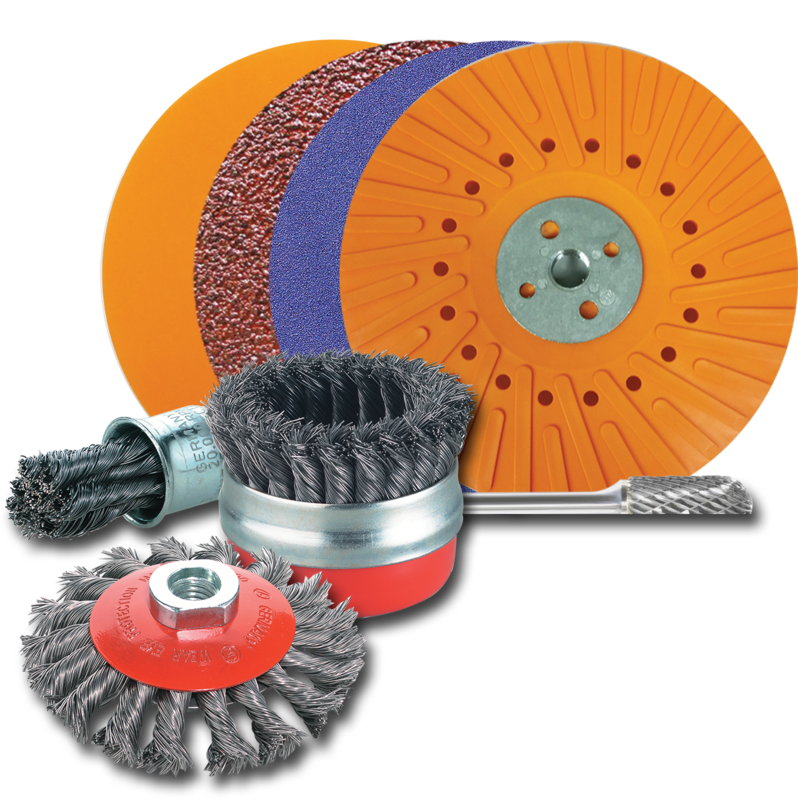 Quick change abrasive discs for heavy applications. Profixx uses a metal button to mount into the backing pad while Prolok uses a nylon screw to mount into the backing pad. Quick change surface conditioning discs for finishing, cleaning and polishing. Profixx uses a metal button to mount into the backing pad while Prolok uses a nylon screw to mount into the backing pad. Steel wire brushes are designed for rust and scale removal, weld splatter, deburring, cleaning castings and forgings, pipeline construction, foundries, shipbuilding, oil and gas industries, construction. Tungsten Carbide Burrs are produced to exacting standards on the latest CNC machines. The unique brazing process guarantees that the strength of the braze is equal to the strength of the shank. These burrs are manufactured for freehand de-burring, grinding and polishing of a large variety of metals, alloys, castings and composite material. They are used in some of the most challenging applications in the world today: shipbuilding, offshore oil platform and module construction, aerospace, turbine manufacture, etc. Ideally suited to tool and die, molds, dressing and finishing casting, weld and flash removal and deburing of parts. For use on pneumatic air tools or electric die grinders.